So we got the red cabinet of our dreams, and marked down another hundred dollars! $499 for a cabinet that was originally $1000…gotta love a deal. We have seven days to pick it up, which is a good thing because we have no idea how we are going to transport the damn thing. Yesterday despite my kitchen equipment in disarray, I still managed to whip up some tasty things. Why don’t we can our own jams anymore? It’s very easy, for this recipe all you need is some canning jars, and a few basic ingredients. 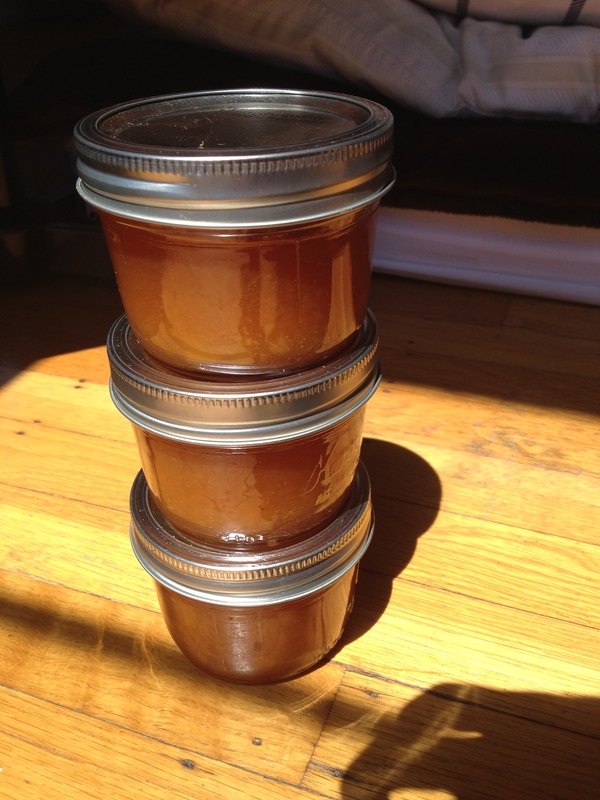 More and more people have been finding problems with pectin so this recipe does not use pectin! First bring a large pot of water to boil, put your canning jars in for at least 10 min to sanitize them. Remove them to a cool rack. Cut an x-marks-the spot on the bottom of the peaches and then dunk the peaches in the boiling water. 40sec to a min should do, remove to a ice water and then one by one easily remove the skins. Pulse in a food processor until chunky. 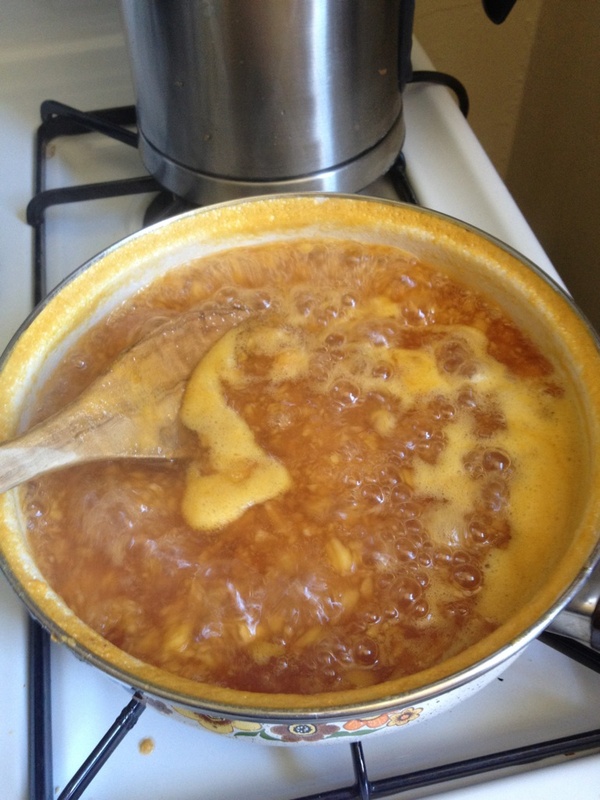 Transfer to a small saucepan, and add sugar, lemon juice, and 1/2 teaspoon salt. Bring to a boil, stirring frequently. Boil, continuing to stir, until bubbles slow, foam subsides, fruit rises to the top, and jam sticks to a spoon when lifted, about 12 minutes.